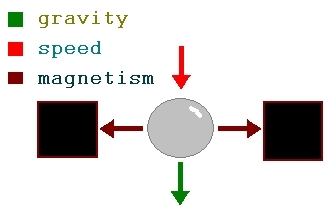 We drop a metal ball true a "gate" made up of 2 permanent magnets. 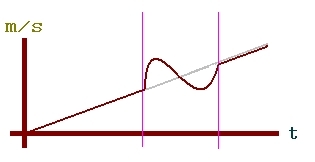 As energy should be nicely conversated, the ball-speed roughly looks like this. 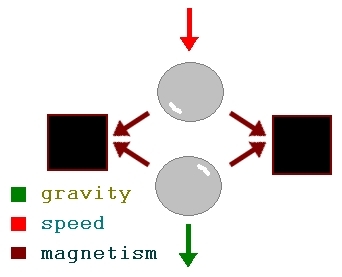 We bring a second ball into rest between the magnets. The ball is just hanging here. Now - we drop ball 1 just like in experiment 1. Ball 1 transfers it's speed to bal 2. Ball 2 is far-out of the center of the magnetic field and therfor forgets to decelerate roughly looking something like this. 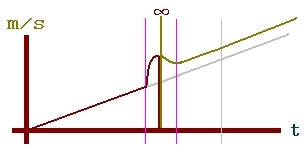 Compared to the single ball the second experiment behaves like the ball bridges part of the magnetic field at infinite speed. 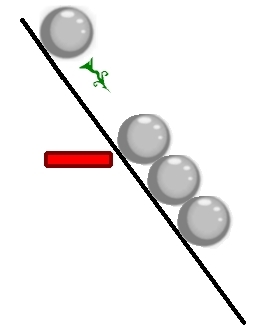 The incoming ball will then sink down to the position of the launched ball on gravity. The trick can now be repeated. 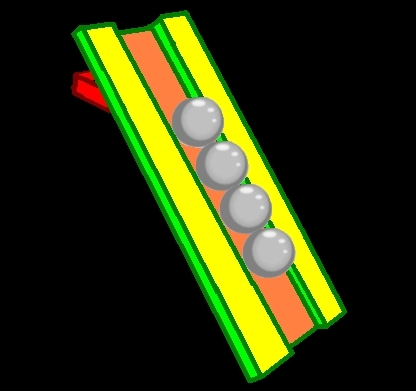 The row of balls can be extended to accommodate a stronger set of magnets and increase the speed. 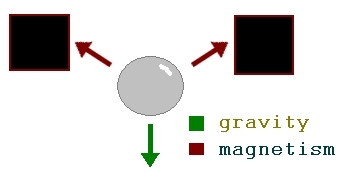 Just like a single ball the row will be pulled out of the center gravitationally.